“The Fundamental Fysiks Group was founded in San Francisco in May 1975 by two physicists, Elizabeth Rauscher and George Weissmann, at the time both graduate students at the University of California, Berkeley. The group held informal discussions on Friday afternoons to explore the philosophical implications of quantum theory. 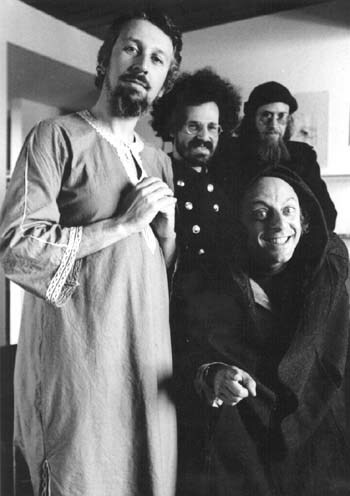 Leading members included Fritjof Capra, John Clauser, Philippe Eberhard, Nick Herbert, Jack Sarfatti, Saul-Paul Sirag, Henry Stapp, and Fred Alan Wolf. David Kaiser argues, in How the Hippies Saved Physics: Science, Counterculture, and the Quantum Revival (2011), that the group’s meetings and papers helped to nurture the ideas in quantum physics that came to form the basis of quantum information science. Two reviewers wrote that Kaiser may have exaggerated the group’s influence on the future of physics research, though one of them, Silvan Schweber, wrote that some of the group’s contributions are easy to identify, such as Clauser’s experimental evidence for non-locality attracting a share of the Wolf Prize in 2010, and the publication of Capra’s The Tao of Physics (1975) and Zukav’s The Dancing Wu Li Masters (1979) attracting the interest of a wider audience.